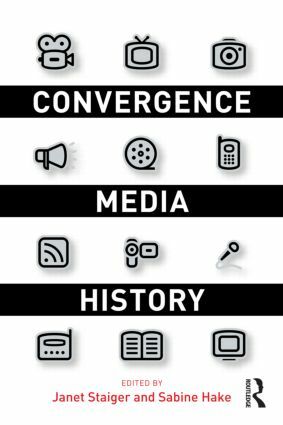 Convergence Media History explores the ways that digital convergence has radically changed the field of media history. Writing media history is no longer a matter of charting the historical development of an individual medium such as film or television. Instead, now that various media from blockbuster films to everyday computer use intersect regularly via convergence, scholars must find new ways to write media history across multiple media formats. This collection of eighteen new essays by leading media historians and scholars examines the issues today in writing media history and histories. Each essay addresses a single medium—including film, television, advertising, sound recording, new media, and more—and connects that specific medium’s history to larger issues for the field in writing multi-media or convergent histories. Among the volume’s topics are new media technologies and their impact on traditional approaches to media history; alternative accounts of film production and exhibition, with a special emphasis on film across multiple media platforms; the changing relationships between audiences, fans, and consumers within media culture; and the globalization of our media culture. “Talk About Bad Taste”: Camp, Cult, and the Reception of What’s New Pussycat?